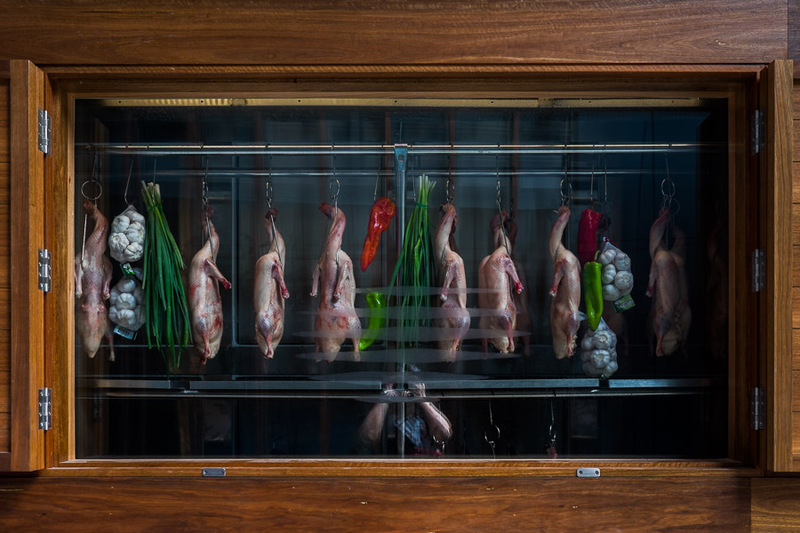 Ducks hanging in the window with garlic, peppers and spring onions, framed beautifully in a window. And me in familiar pose, a reflection spoiling the composition. 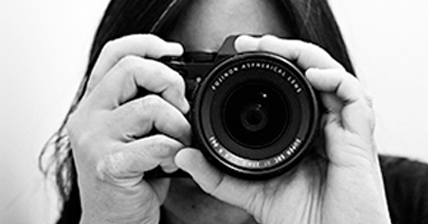 Like many of the photographers I know, I much prefer taking pictures than being in them. Not surprisingly, I rarely take selfies. Even though I bought a selfie stick at Changi Airport on my last overseas trip (it seemed like a good idea at the time) I’ve barely used it. Most pictures I take of myself tend to be incidental – the unavoidable reflections in mirrors or windows while I’m photographing subjects other than myself. I suppose I could edit myself out of this photo, but I quite like this ghosty self-portrait with the ducks, bags of whole garlic, peppers and bunches of spring onions – all the things I’m photographing, as usual, much more significant and interesting than me.